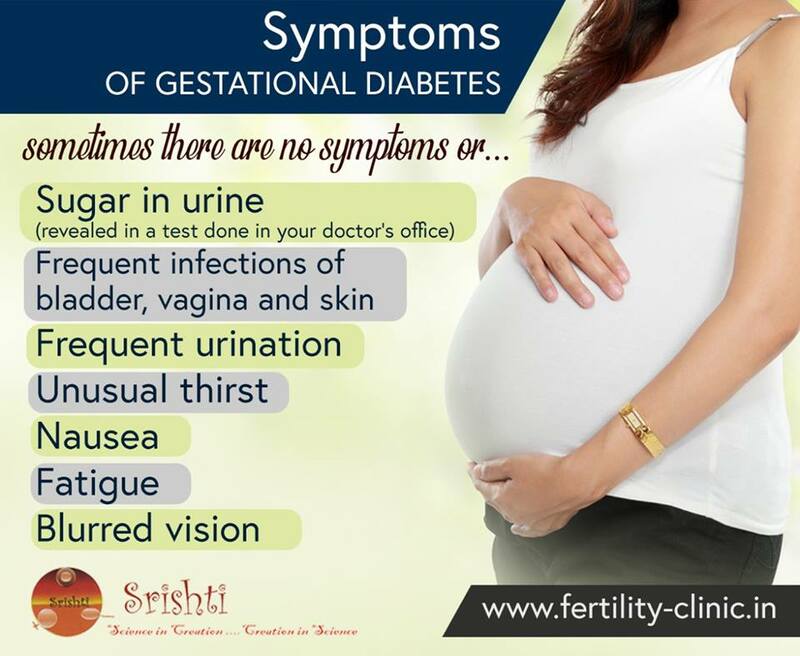 Gestational diabetes is a condition which develops during pregnancy (gestation). In most cases, this is a temporary disorder that occurs around the second trimester of pregnancy and it can be easily controlled. But if left rampant, it can present some problems for your baby down the line and so, of course, it's a good idea to do all you can to avoid developing it in the first place. India has the highest number of diabetics with 5% of the Indian population suffers from diabetes; however, there is no national data available on the disease burden of GDM. Also, the relevance of Gestational Diabetes Mellitus (GDM) and the implication of its prevention and management are often undermined. 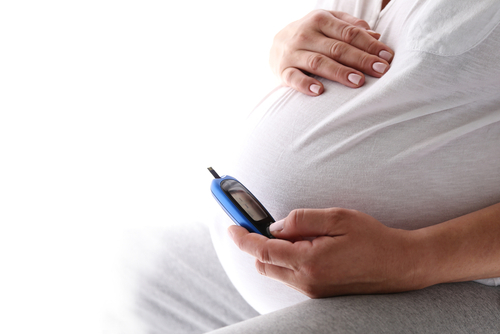 Gestational diabetes (GDM) is a form of diabetes that can happen during pregnancy. Earlier, GDM during pregnancy is used to be relatively rare, occurring in about 3 percent of pregnancies. But in recent years, the rate has doubled—now, up to 6 to 8 percent of women develop GDM between the 24th and the 28th week of pregnancy (sometimes even earlier). The exact cause of gestational diabetes is unknown, but the medical community accepts that hormones are likely to play a role in causing GDM. The placenta supplies the growing foetus with water and nutrients, as well as it also produces a variety of hormones to maintain the pregnancy. Some of these hormones can have a blocking effect on mother's insulin. This is called contra-insulin effect, which usually appears roughly halfway through pregnancy. For example, a hormone called the human placental lactogen (HPL) (also known as human chorionic somatomammotropin) which is similar to growth hormone (it helps the baby grow). HPL also modifies the mother’s metabolism raising maternal blood glucose level and makes a woman's body less sensitive to insulin-less able to use it properly. More of these "anti-insulin" hormones are produced during the course of pregnancy and the risk of insulin resistance becomes greater. These hormones include growth hormones, cortisol (a stress hormone), estrogen, progesterone and placental insulinase (another hormone from the placenta that inactivates insulin). Usually, the pancreas is able to make additional insulin to overcome insulin resistance (women may need up to three times as much insulin), but sometimes the production of insulin is not sufficient to prevail over the effect of the placental hormones resulting in gestational diabetes. Class A1: nonstandard oral glucose tolerance test (OGTT), but normal blood glucose levels two hours after meals and during fasting; this can be controlled through diet alone. Presently, GDM remains confined to the corridors of obstetric wards and labour delivery-rooms, limiting the visibility of the condition. It is really important to realise that GDM has influential consequences for the mother and child, and the impact reaches beyond the pregnancy stage. Why should we be concerned about GDM? Just because you’ve been diagnosed with gestational diabetes doesn’t mean that your baby will have all (or even any) of these complications. Preeclampsia: This is when a pregnant woman has high blood pressure and signs that some of her organs like liver and kidneys, may not be working properly. If the preeclampsia remains untreated, it can develop to eclampsia, a potentially life-threatening condition. Stillbirth: Foetal death after 20 weeks of pregnancy. Preterm delivery: premature babies are more likely to have health problems at birth and even later in life than the full-term babies. Excess growth (macrosomia): GDM may cause your baby to be big and weighing more than 9 pounds. This makes your baby more likely to get hurt during labor and birth. 3. GDM also increases the risk of future Type 2 diabetes in mother as well as the baby. Global data show that children of mothers with uncontrolled diabetes – either pre-existing or gestational diabetes – are 4-8 times more likely to develop diabetes later when compared to their siblings born in a non-GDM pregnancy to the same parents. You have insulin resistance, glucose intolerance, or “prediabetes” (blood sugar that's elevated, but not high enough to be called diabetes) or if you had gestational diabetes in a past pregnancy. You’re overweight and sedentary or you gained a lot of weight during pregnancy. You belong to certain ethnic groups which have a higher risk of GDM (African-American, Asian American, Hispanic or Latino, Melanesian, Polynesian, Chinese, Southeast Asian, Middle Eastern or Indian background). And finally, a recent study by Northwestern University revealed that frequent snorers have a 14.3 percent higher chance of developing GDM, compared with women who don't snore. Being diagnosed with gestational diabetes can be upsetting for many women. However, it is important to remember that the majority of women with gestational diabetes can have a healthy pregnancy, normal delivery and a healthy baby. The treatment is a healthy eating plan, regular physical activity (such as yoga, walking and light exercise) and monitoring and maintaining blood glucose levels in the target range. Doctors may also prescribe insulin injections for you until you give birth. Adopt healthy habits to reduce your chances of developing the condition. If you’re pregnant and have risk factors for gestational diabetes, try to eat a healthy diet and get regular exercise. Consult with your doctors and they will perform early screening to identify your risk factors and ensure you have a healthy pregnancy. Srishti Hospital has been in the forefront of Fertility care and advanced Gynecological Endoscopic procedures, offering world-class care with superior clinical outcomes, at affordable costs. The expert Srishti team renders impeccable maternity, gynaecology, neonatal, paediatric and fertility services. Srishti has state of the art facilities to deal with pregnancy treatment in India, Reproductive medicine and Feto-maternal medicine - including high-risk pregnancy care. The team gives equal importance to preventive care and they provide the best quality gestational diabetes treatment in Puducherry. Providing all services under one roof, Srishti Hospital stands way ahead of its contemporaries with a ‘round the clock’ team of professionals in Reproductive, Embryology, clinical obstetrics and gynecology, andrology, laparoscopic (keyhole), endoscopic and hysteroscopic surgeons, ultrasonology, newborn care and neonatology.